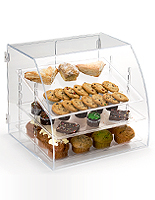 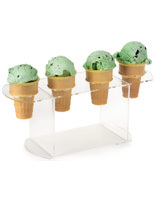 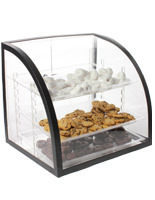 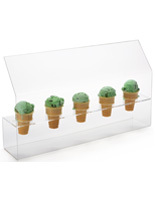 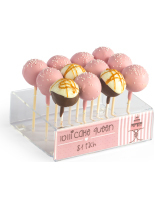 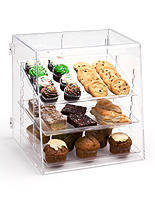 When it comes to showcasing baked goods or candy, what kinds of display fixtures will you need? 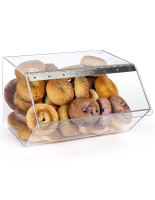 Food storage bins placed on tables or the countertop are great merchandisers since patrons can see through the clear plastic containers. 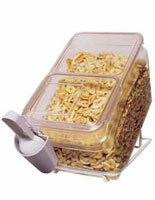 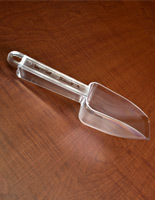 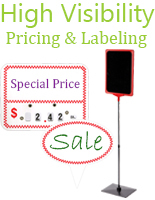 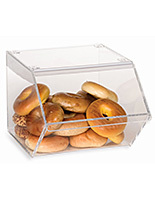 And, ideally, they offer closed environments so your products remain fresher, longer. 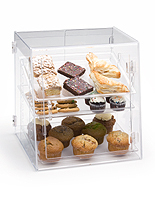 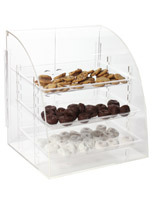 These food storage bins do a great job of enticing the customer with mouth-watering treats and pastries. 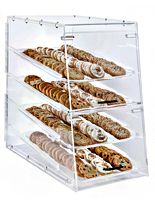 The models pictured here come in self-service styles (with front lid access) or employee-only access with the doors at the rear. 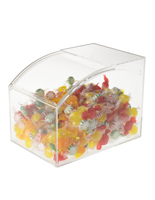 The food storage bins for self-serve are designed for the candy industry, while bakery shops and cafes use the rear-loading cases. 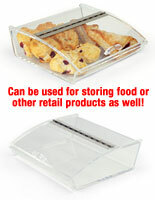 What are the basic differences between these plastic containers? 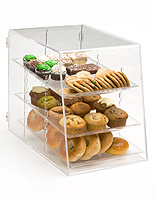 The large food storage bins come with rear-access doors with slide-in trays. 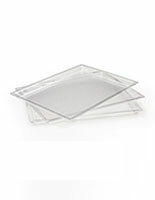 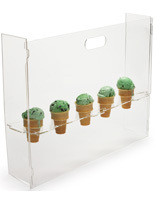 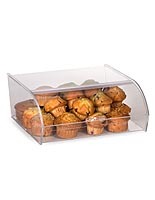 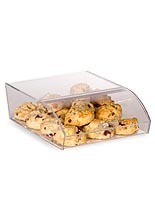 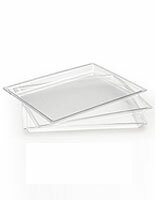 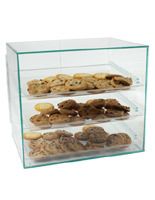 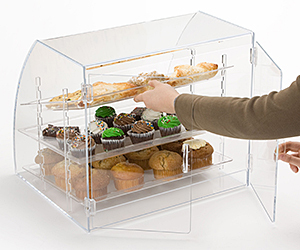 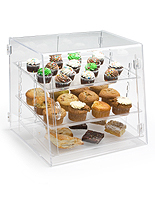 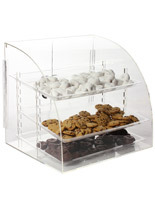 The trays provide ample display area with division, so your bakery goods aren't piled on top of one another. 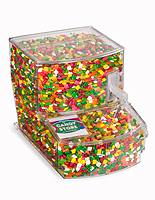 When a customer requests an item, it's the employee who retrieves it. 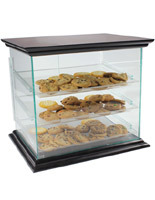 A wide variety of models are available for purchase, including all-acrylic designs or more decorative styles with wood tops and bottoms and metal trim. 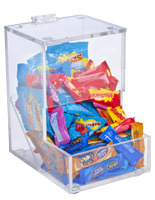 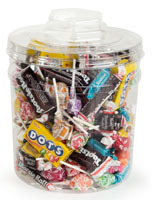 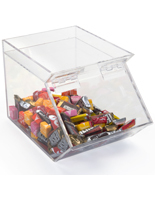 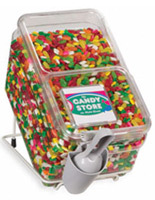 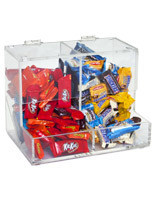 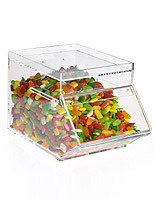 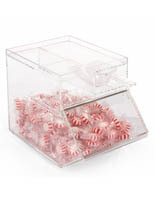 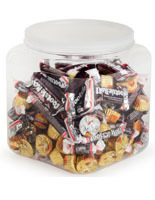 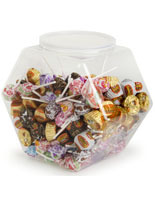 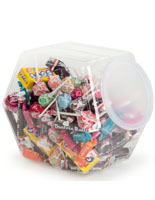 Small candy bins have lids placed at the front for people to help themselves. 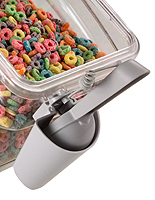 A number of models come with scoops attached with bungy cords. 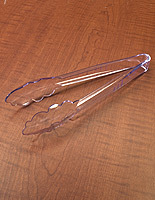 Label holders allow the proprietor to designate the contents. 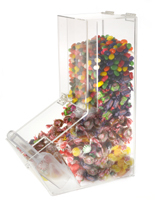 An added bonus is the stacking feature. 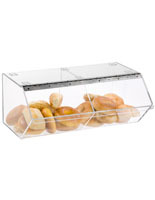 Some bins fit on top of each other to increase the display volume. 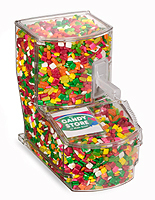 Candy stores do this a lot to visually overwhelm the viewer into submission. 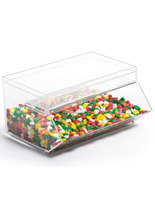 The one feature common to both containers is the crystal-clear plastic construction to show customers what you have to offer. 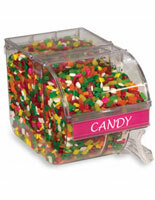 These plastic bins are not exclusively used in bakeries and candy shops. 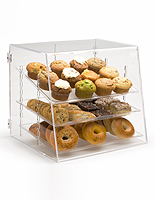 Coffeehouses are big into cookies and muffins, as well as small to-go lunch fare. 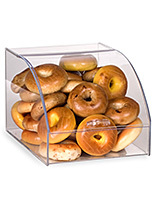 Hotels that offer continental breakfast usually have a selection of bagels, pastries, and croissants. 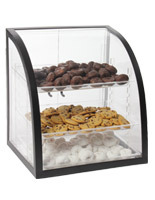 And convenience stores also utilize these display cases for their donuts right next to the coffee dispensers. 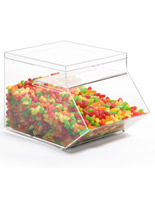 Anywhere you can place these containers at point-of-purchase locations increases the chance of an impulse sale.